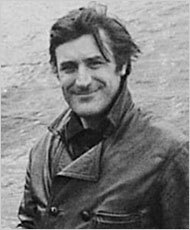 In spite of being on Team Sylvia, I’ve always been slightly in love with Ted Hughes. I have spent about two years so far on my novel and during those two eventful years I have stubbed my poor toes on the wooden furniture of a bad idea more times than I care to remember. And what I can say, hand on heart, is that Ted Hughes is right. 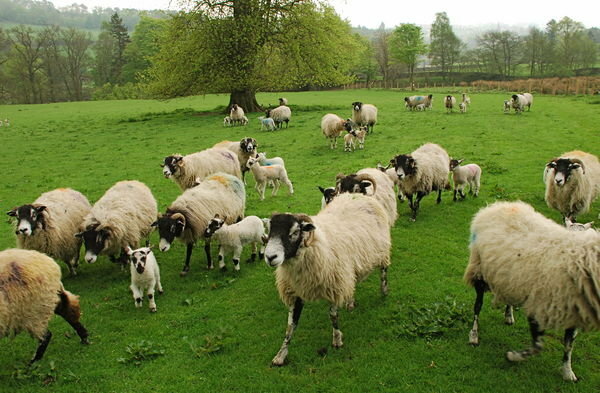 There are days, or at least the beginnings of days, when your sentences ramble for England (I’m picturing un-herded sheep as I write this); you can’t find your rhythm; you fill your basket from the adverb aisle of the word market. None of those things, however, is fatal, so long as you’re writing about something that interests you. It might all be tangled and muddled and, damn it, the thing in your head is too complex and too beautiful to ever be pinned down in words, at least by a dufus like you, but hurray-with-bells-on if that’s the case: because, if it’s beautiful in your head, then you’ve been there, and done it, and seen it, and felt it, and even perhaps smelt it, and all that’s left now is to find the appropriate words to describe it (and if you don’t really enjoy finding words to describe things, then might I humbly suggest that ‘writer’ is possibly not your calling in life?). I don’t mean to be glib about this: it is incredibly bloody frustrating to argue all day with yourself about whether a non-existent object is ‘ointment pink’ or ‘sulphur yellow’, with all the particular repercussions and connotations each entails, but it’s sort of fun too, right? Sometimes, though, no matter how lovingly we nurse it, our scene, or our chapter, or perhaps our entire novel, is on life support, being fed through a tube. In their white coats the doctors are circling, avoiding our eye, mumbling something in sombre tones about making decisions, and brain death, and needing the bed for new patients. As you try to ignore them your prose gets a straw-clutching case of the ‘Suddenly She‘s, (I do love the word ‘suddenly’, sparingly used, but as a substitute for genuine surprise and/or tension it’s a giant no-no); you wonder if somehow your head has a leak in the back, where the hair is, and all of the words you once knew – the good words – have seeped out… And the ones you still know (like suddenly, and realised, and almost, and sort of) lie flat on the page, like words, and refuse to transform into images, sounds, and textures… in that case it’s time to stop blaming the sentences. It isn’t your sentences that have rambled too far (we’re back to the sheep again now): it’s you. Without knowing it, you’ve crossed the border into country you ‘have no real feeling for’. If you’ve signed up for NaNo this year, or you’re thinking about it, I hope you won’t only be thinking of scene arcs, and plot twists, and points of no return, and inciting incidents – as much as those things are important, yes – or ‘thinking it up laboriously, as if you were working out mental arithmetic’ (Ted again). I hope you’ll be seeing and smelling and touching the scenes you are writing about. And I hope you’ll be noticing what is alive in your writing – what makes it yours, just yours, and nobody else’s – and, most of all, watch where you’re walking. It’s scarily easily to spend the whole month of November in ‘don’t-care country’ and end up with something that’s fit for the bin. In other words: ‘Don’t think, feel,’ as a wise man once said. ‘It’s like a finger pointing a way to the moon. Don’t concentrate on the finger, or you’ll miss all that heavenly glory.’ Full marks if you get the reference before watching this clip! How to be interesting? The answer is: be interested. Remember that, fellow WriMos. And the very best of luck. ← A Novel isn’t just for November.